Names in red have entered the FYAOSBO, but haven't been listed on the webpage yet because I have to get out a different computer than the one I normally use. I know, it's a cluster. money is in the mail today. Count me in the 0-15lb class and 30+ class. Will send money thru Paypal. All three classes!!! Money is not in the mail yet. Yeah, 2011 Dues can be rolled into the FYAOSBO fee to save a stamp. Unfortunately, Paypal charges a percentage, so if you go that route add another buck! It's a good chance to order some Soup Gear, too: Hats, Stickers, and Tees all available. I'm in for all three classes. Hope to get on the water a lot more this year and at least give myself a chance to win. 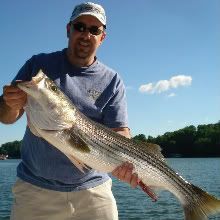 Posted: Tue Nov 23, 2010 8:27 pm Post subject: One more Tn bait in the cold Dec waters.. Unfortunately, Paypal charges a percentage, so if you go that route add another buck! If you send the money as a "gift" then PayPal doesn't charge any fees to either party. Seriously? That would be great. I have a premier account, though which means I can accept credit cards. Not sure if there would be any difference on the gifting of money though. Gonna have to check into that! The member would log into PayPal then click on "Send Money." Then they click on the "Personal" tab, enter your email address, amount of item and hit submit. The member MUST have a PayPal account and MUST click on the "Personal" tab. Then no fees are charged to the member or you. I use it all the time. Ok I'am in. I put a stamp on it and mailed it today. Sign up list updated so far. We have 12 paid entries, looking for the stragglers over the next 2 days!! If you want to get it in on time, get it in! If you're postmarked on Dec 1, it won't be accepted. OOPS I did! Sorry Todd. I can fix that! Posted: Mon Nov 29, 2010 6:58 am Post subject: Accident? All in - money mailing today. Think of it as a charitable donation for the 30+ class. I'll try sending mine through paypal gift deal. If it works, ! If not, I'll send some more money to make up for whatever I owe. I'm gonna do the 0-15 and 30+ salty stripes! Plus member dues. Alright I just tried it and it doesn't work. Its charging me an extra $0.94. I'll go ahead and send it this way because I think I'm paying the fee and Shawn will receive the correct amount and not have to pay the fees himself. Hey Chef I sent you some monies last night to cover the competition and the yearly dues. I hope that it was correct and covered any fee costs to you. Let me know if there were any problems. See ya on the water!!!!!!!!! EarlyRiser, this method will charge a fee if you try to pay with a credit or debit card. "Sending money to friends and family? made by credit or debit card." It didn't charge me anything, but i added an extra $3 in case it deducted it from shawn. I know I previously posted that I was going to fish all category but now I can not. I am having a mechanical problem with my trim pump and wont have the time to tear into it until after deer season and Christmas. Good luck to all who entered. Gotcha. I paid with a credit card. It wouldn't do me any good to have my bank account on paypal because theres no money in it! I believe the list is finalized, check it to make sure everything is accurate for your name and take a look at the webpage as well. Looks like a record setting 23 competitors this year! Good Luck. I will say there have already been fish measured in the 15-30 and 30+ class! !